FSB sent warning two weeks ago, on Friday it happened. Norwegian police arrested a man walking in the snow across the border to Norway from Russia. 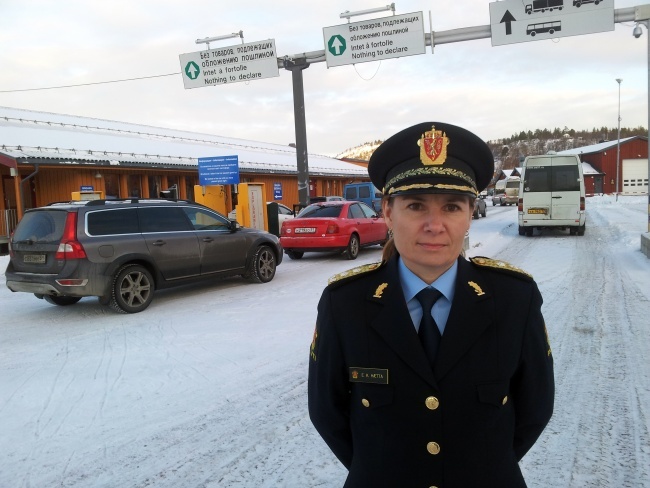 Chief of Police in Eastern Finnmark, Ellen Katrine Hætta, confirms to the Independent Barents Observer that the person arrested is a Chinese citizen. «The man is now in for interrogation by the police to clearify his intentions for the border-crossing,» Hætta says. Two weeks ago, Russia’s FSB Border Guards published a warning that migrants might try to cross the state border illegally. The warning, published at the portal of the local municipality of Pechenga, asked local citizens to be on alert for possible acts of terror and possible attempts of illegal border crossings due to the large inflow of refugees. The warning was, however, removed from the portal of Pechenga Rayon after the Independent Barents Observer reported about the terror warning. 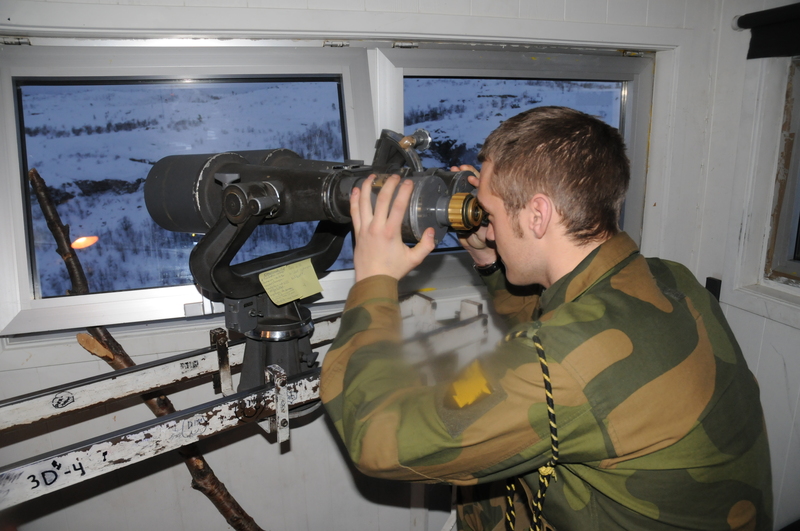 The man illegally crossing the state border in the northern sector of Russia’s 196 kiometers long border to Norway was detained by the military border guards before handed over the police that brought hi in to Kirkenes for questioning. It is not allowed to cross the border at any other places than Storskog, the checkpoint on the road between Nikel and Kirkenes. There is a barbed wire fence all along Russia’s border zone some few kilometers inside the actual border line. How the man managed to climb the fence without being detected by FSB Border Guard is still unclear. Since early September, more than 4,000 people from more than 20 countries have taken the so-called Arctic Route via Russia’s Kola Peninsula to Norway and asked for asylum at Storskog border checkpoint. It is very rarely that someone has climbed over the barbed wire fence and actually managed to get into Norway via the terrain. Since 2005, only three persons have not been detained by FSB Border Guards. In 2005, one person walked over to Jarfjord and another was found dead on the Norwegian side of the Pasvik River after trying to swim over the cold water. Two years ago, another man managed to swim over and asked for asylum in Norway. Grense Jakobselv, where the man was detained Friday morning, is far away from any roads, or civilian settlements on the Russian side. He was arrested without drama and is now in custody. Footprints in the snow reveal that the man was alone. The Police is investigating the case and investigation will show what later will happen with the person, the Police in Kirkenes writes in a press-release. 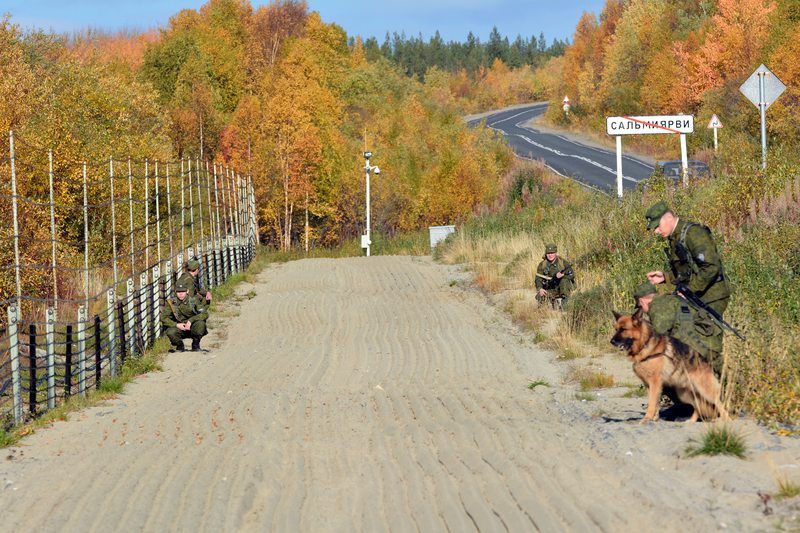 Unlike other Schengen states, Norway has military border guards in its northeastern corner. Commander of the Garrison in Sør-Varanger, Lt. Col. Jan Erik Haug says it is dangerous to cross the border anywhere else than Storskog checkpoint. “The Border Guard enforces Norwegian sovereignty, the border- and immigration legislation every day,” he says. The soldiers are doing the job on behalf of the police in what for Norway is a unique civilian-military cooperation. “There is only one place it is allowed to cross the Norwegian-Russian border, that is at Storskog checkpoint. It is dangerous to cross elsewhere and our conscripts have a good overview over the entire borderline,” says Jan Erik Haug. He assures that those trying to cross the border illegally will be detained and delivered to the police. Last week, winter came to the northernmost part of Norway, with freezing winds and temperatures last night down to minus 14° Celsius. Daylight is limited as the sun will next week be under the horizon and snowy weather is lining up from the Barents Sea. Chief of Police, Ellen Katrine Hætta, says the military border guards have police authorities and are trained to deal with any situation at the border. On Monday, State Secretary in Norway’s Ministry of Foreign Affairs, Tore Hattrem, travels to Murmansk to discuss the current migration with Governor Marina Kovtun, the Goverment writes in a press-release. "Closure of border is not an answer in meeting with people walking in the cold"